New bio-medical science has recently discovered that these stem cells can be used medically to recreate live healthy tissue to replace damaged or diseased tissue. In other words, instead of repairing a damaged liver, shoulder joint, or heart, imagine if you could simply create a new liver, shoulder joint or heart! That is why there is so much popular “Buzz” about stem cells these days. https://www.amaskincare.com/wp-content/uploads/2018/02/adultstemscells2.jpg 356 356 Alice Pien, MD & Asher Milgrom, PhD /wp-content/uploads/2017/10/AMA_large_logo.png Alice Pien, MD & Asher Milgrom, PhD2018-02-06 20:08:342018-08-28 19:03:02What Are Stem Cells and How Do They Work? Lecture : What are Stem Cells? – Part 3 of 4 – What Do Stem Cells Do? These mesenchymal stem cells with their magic soup and those little vesicles that release the soup into the body and into the organ that’s damaged, etc. What are these cells? What do stem cells do? 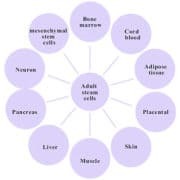 What are the uses of stem cells? What is the outcome of this soup of cytokines that is released? What are Stem Cells and Where Do They Come From? Lecture : What are Stem Cells? 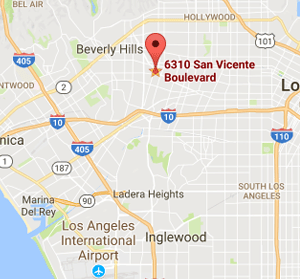 – Part 2 of 4 – Where Do They Come From? We now see that there are three sources of stem cells. There are the embryonic stem cells, those stem cells that are part of a developing fetus. There are the Placental stem cells, which are the placenta and the umbilical cord. All of our Adults organs have stem cells in them as well. https://www.amaskincare.com/wp-content/uploads/2017/10/Stemcell-1.jpg 275 339 Alice Pien, MD & Asher Milgrom, PhD /wp-content/uploads/2017/10/AMA_large_logo.png Alice Pien, MD & Asher Milgrom, PhD2017-08-14 16:09:502018-08-28 19:03:03What are Stem Cells and Where Do They Come From? What are Stem Cells and Why are Stem Cells Important? Lecture : What are Stem Cells? – Part 1 of 4 – Why Are Stem Cells Important? Hello everyone, I am Asher Milgrom, the CEO and Chief Scientist of AMA Regenerative Medicine & Skincare. 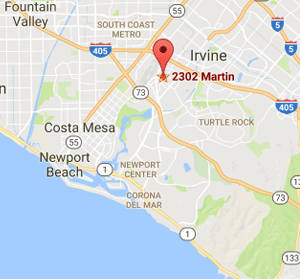 My specialty is biomedical sciences and we specialize here in Integrative Medicine and Regenerative Medicine. We are privileged to be doing all sorts of very interesting stem cell research and also treating patients with stem cells and that’s the subject of this talk, what are stem cells and why are stem cells important. https://www.amaskincare.com/wp-content/uploads/2017/08/Slide-02-Stem-Cell1.jpg 486 864 Alice Pien, MD & Asher Milgrom, PhD /wp-content/uploads/2017/10/AMA_large_logo.png Alice Pien, MD & Asher Milgrom, PhD2017-08-10 19:09:042018-08-28 19:03:03What are Stem Cells and Why are Stem Cells Important? First things first…. Embryonic stem cells that are used for medical treatments are NOT part of a developing fetus or baby. Rather these cells are derived from other embryonic tissues such as placenta, umbilical cord, and amniotic fluid. These tissues are routinely collected during the birth of a baby and destroyed (incinerated) immediately following the birth. 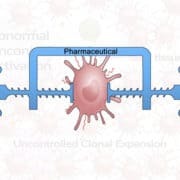 From a clinical perspective, fetal stem cells are NOT suitable for any therapeutic use, because they are very unstable and not safe for transplanting into patients. 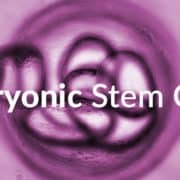 What Properties are Unique to all Stem Cells? Every cell in our body comes from the original stem cells that comprised the embryo we once were. 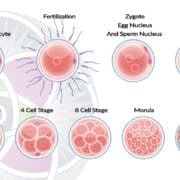 Everything starts with a sperm and egg, which fertilize each other by merging into a single cell thereby becoming the first stem cell from which our entire body will be created. At that point the merged cell starts dividing into 2 cells, then 4, 8, 16, 32 cells etc (Fig. 1). In these early stages, every one of these cells can become any cell in the human body. https://www.amaskincare.com/wp-content/uploads/2017/05/Early-Stages-of-Cell-Development-1.jpg 506 900 Alice Pien, MD & Asher Milgrom, PhD /wp-content/uploads/2017/10/AMA_large_logo.png Alice Pien, MD & Asher Milgrom, PhD2017-05-30 15:06:042018-08-28 19:03:03What Properties are Unique to all Stem Cells? 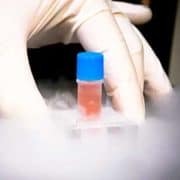 Medical science has known for decades that stem cells can be found in almost all human tissues and organs and that they are critical participants in the process of how human bodies repair themselves and stay healthy. 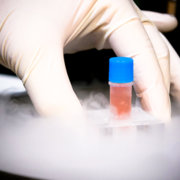 However, a new chapter was opened when scientists discovered that stem cells can be found in human embryos. 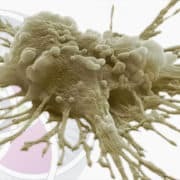 This stem cell research breakthrough became even more important when laboratory experiments proved that stem cells can be grown in a laboratory, and can potentially be used to develop treatments such as stem cell therapy for different medical conditions. 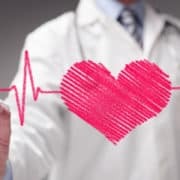 DOES STEM CELL THERAPY WORK FOR HEART DISEASE? Joe Rogan: Wow! What about heart disease? You were talking about people that have heart issues. Dr. Neil Riordan: Yes, we have a number of patients with heart failure that have responded quite well to the stem cell therapy treatments. Joe Rogan: Heart failure? Heart attack?